You never know what you are going to get when it comes to the auditions on Britain’s Got Talent and Simon Cowell looked less than thrilled at what these old men were about to do. However, once Old Men Grooving busted out their dance moves, Simon (and the rest of the judges on Britain’s Got Talent) changed their tune! We were thinking it would be some older gentlemen wanting some camera time who weren’t very good at dancing. They shocked us though, as these men busted out some pretty good dance moves and it was a very entertaining audition. While they may not be the best dancers, they are definitely fun to watch and that is key for any type of performer. 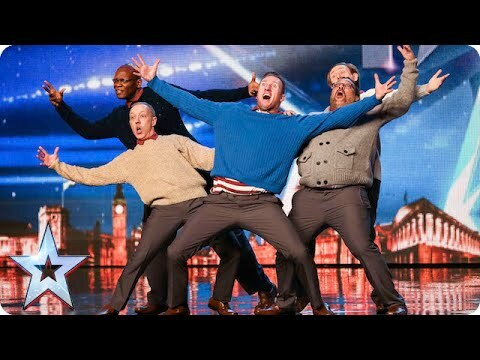 Check out the Old Men Grooving audition on BGT right here and you be the judge. They were good enough for a standing ovation from Simon Cowell though!